 The Microelectronic Engineering Student Association is a fully student run organization dedicated to teaching students, through a hands-on environment, basic microelectronic engineering process, techniques, and tool utilizations. MESA was founded in 2000 by students with a common interest in Microelectronics. The organization was built to promote Microelectronic Engineering within RIT, provide support for faculty and students inside the Microelectronic Engineering Department, and to experience community service opportunities. Throughout the years, MESA has endeavored on processing projects such as the fabrication of a MEMS based microgear, the development of a gigaohm resistor, and the creation of a plasma chamber. 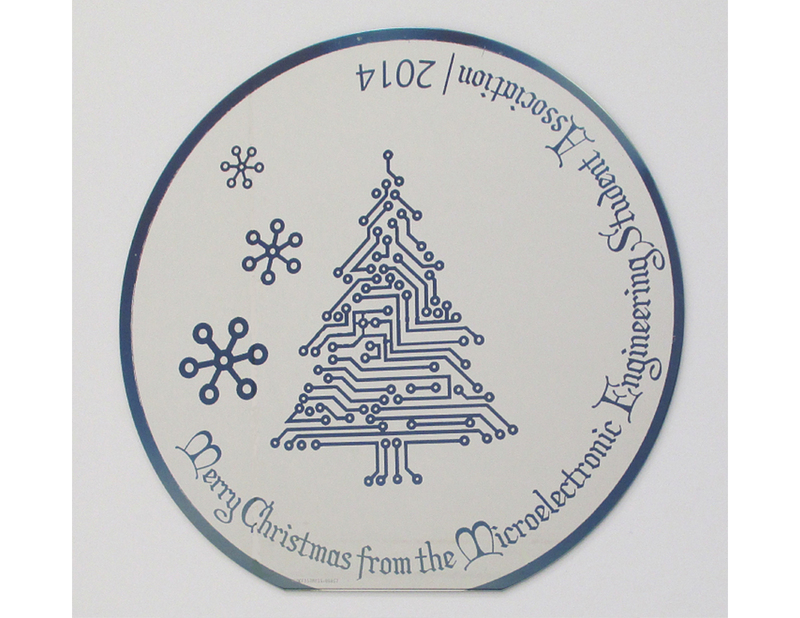 To further promote the Microelectronic Engineering major as well as to teach basic processing techniques to underclassman, every Christmas season, wafer ornaments are fabricated and sold to raise funds for the club. We are currently working on making GaN LEDs and researching how to increase their efficiency. We are also planning on creating and studying Silicon Solar Cells. We will be working on our GaN LED project for the near future! We will also be planning smaller projects to create and study integrated devices. This is the main holiday wafer and ornament design for the 2014 holiday season, which was a huge success! The black area is coated in aluminum while the white areas are exposed silicon dioxide. See how these are made! 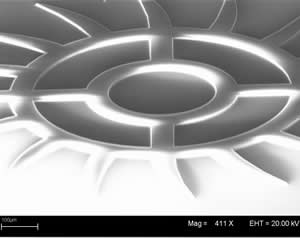 In 2003, MESA built a MEMS based microgear. The gear's diameter was 200 µm. That is the thickness of two dollar bills stacked on top of one another!